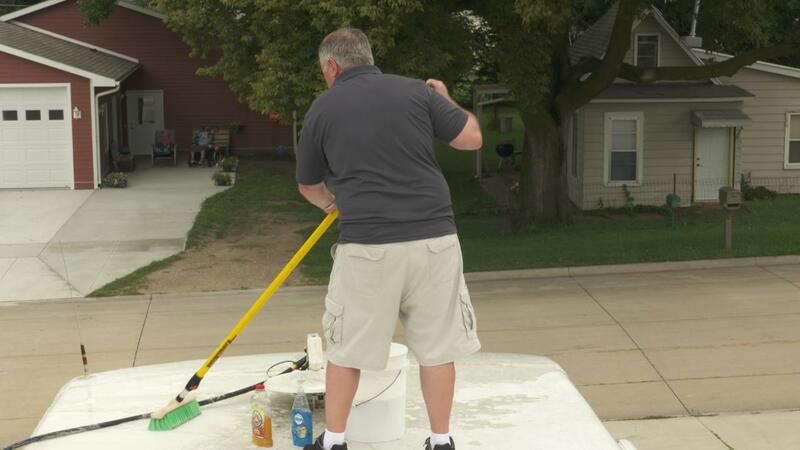 This Exterior Care and Maintenance Essentials class will show you how to inspect the sealants on the roof and sidewall that can result in moisture penetration and costly repairs. 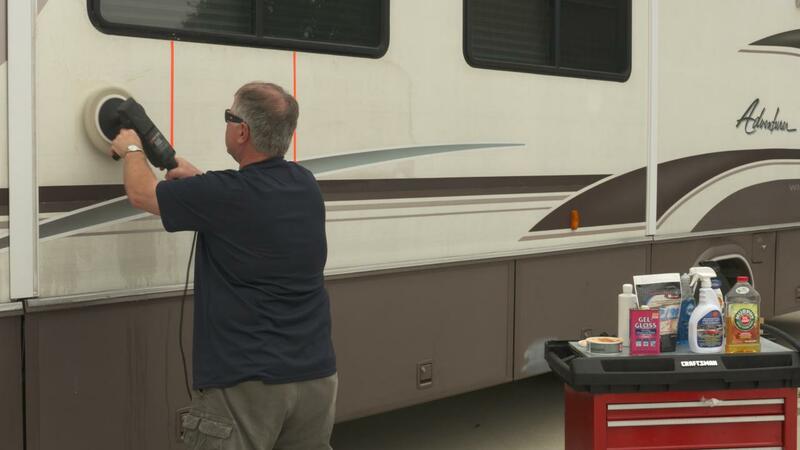 Faded fiberglass, cracked decals, and black streaks running down the side of an RV can drop the perceived value by thousands of dollars. 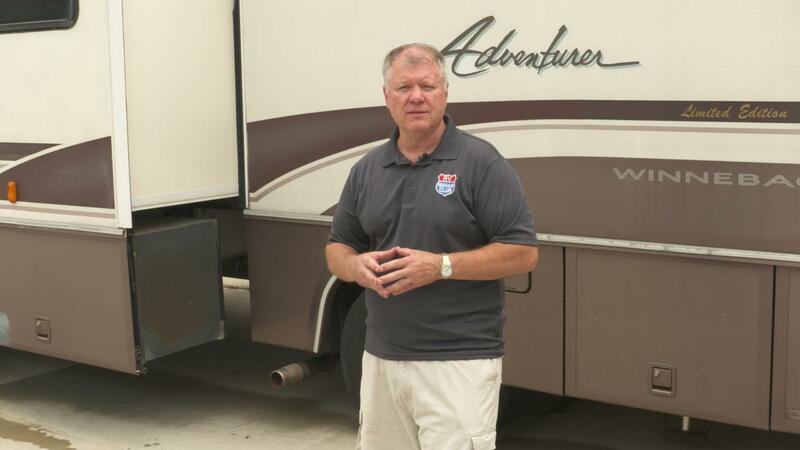 By following the tips and suggestions shown by your instructor, Dave Solberg, you can extend the life of your RV and make your RVing experience much more enjoyable. This class will show you the proper sealants to use for the roof to sidewall, windows, and accessories that might be mounted to the roof. Silicone is not always the best sealant and may not even stick to certain surfaces which would cause leaks eventually. You will also learn the difference between the various roof materials such as TPO, EPDM, and fiberglass, how to tell the difference between them and show you the easiest and safest method to clean them. Awnings are often out of sight, out of mind and can get ruined quickly if not properly maintained. Learn how to inspect the awning and clean it with a common household cleaner that is great on tree sap but gentle on the environment. 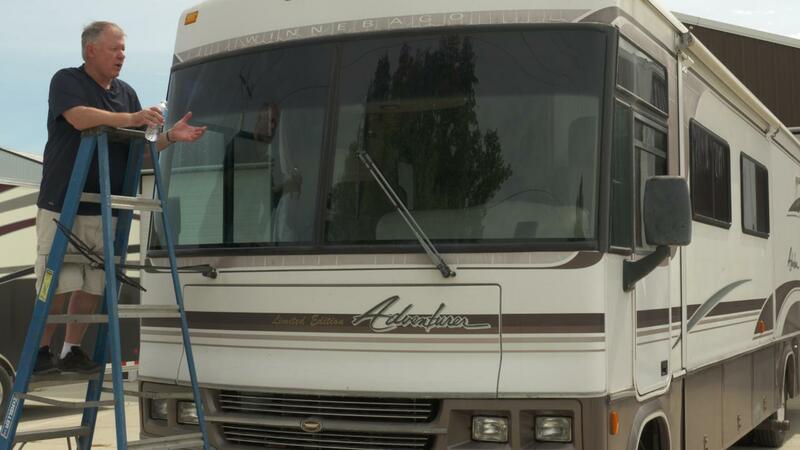 Tires are the most critical component on an RV and also the most neglected. Learn how to properly inspect your tires sidewall, tread, and even a tip for detecting when tires, bearings, or axles might be going bad to prevent a disaster later down the road. 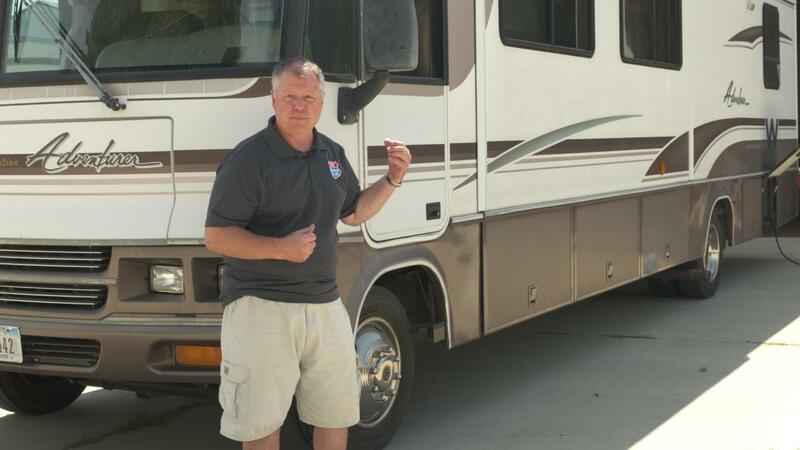 Finally this class will cover some specific motorhome insights to help you deal with common issues and more. In addition to the detailed video instruction you’ll receive, this class provides you with some downloadable resources and helpful information including: A detailed Class Guide you can follow and use as a reminder for the key points of the class instruction; resource documents that will help you with proper tire care and roof cleaning procedures and a BONUS Video that gives you some good tips on black streak removal. PLUS, with this special Class bundle, you’ll also get the Clarity Defender windshield treatment. With a $20 value on its own, this great product will improve your driving vision and your response time – by creating a water repellent, protective layer for the windshield of your RV, car, truck, or boat. 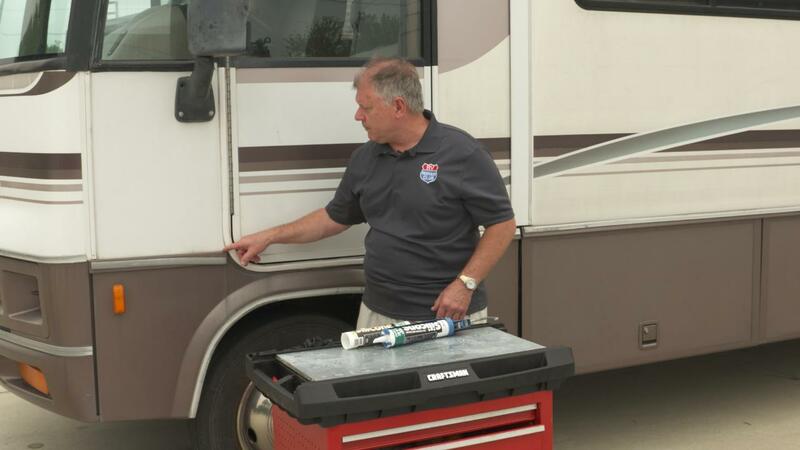 It’s important to inspect the joints, materials, and sealants of your RV once a year as different materials such as fiberglass, rubber, and plastic all expand and contract differently during temperature changes. A thorough walk around the exterior will show if window sealant known as Butyl tape needs to be replaced, if decals are starting to oxidize, and fiberglass needs another coat of quality wax. Sealants have a tendency to dry out and crack when exposed to the harsh sun and even “travel” away from the joint as the rig rumbles down the road. It’s important to check the roof-to-front cap, roof-to-sidewall, sidewall-to-floor joints as well as any accessory that is on the roof such as vents, skylights, and TV antenna. Rubber roof material is warranted for ten years generally, only if it’s cleaned, inspected, and a sealant applied every year! Knowing the type of material is important to understand the proper cleaner and sealant recommended by the material manufacturer. A good cleaning once a year will not only make it look better, but will also keep mold and mildew from forming. Most sidewall today are made with a fiberglass outer skin with either decals or painted graphics. A good quality wax with UV protectant will keep it looking nice and help reduce fading known as oxidation. Decals should not be waxed as they will dry faster. If the sidewall has experienced oxidation, there are several products on the market that will help restore the luster…with a little elbow grease! 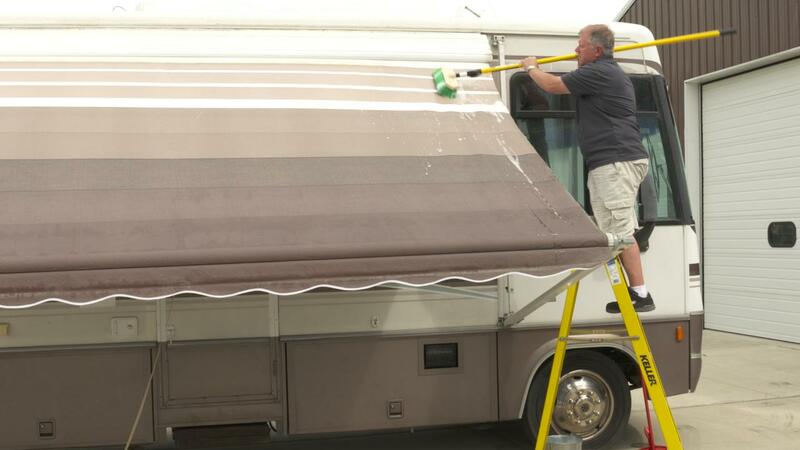 To most RVers, cleaning an awning looks like a daunting task especially when there are slideroom awnings, patio awnings, and even front entry door awnings. It’s actually very simple and can be done without crawling up on the roof. Use a simple household detergent and soft bristle brush on a telescoping pole and you can quickly remove tree sap and other items that will create mold and mildew if left unattended. 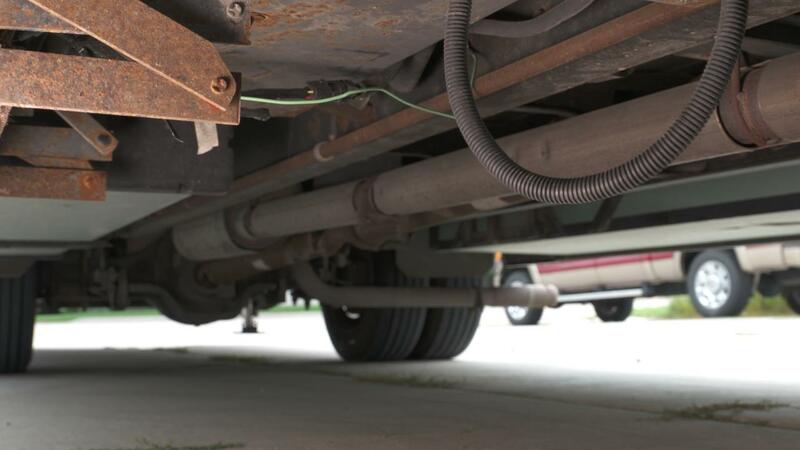 Taking a quick look underneath your RV can help prevent some major repairs later down the road. Look for loose wiring hanging down, and especially dump valves and piping that’s usually exposed on trailers and prone to damage by road debris. A leaky exhaust on a motorized vehicle, or generator can allow deadly carbon monoxide inside the rig as well as excess heat that might damage the floor. 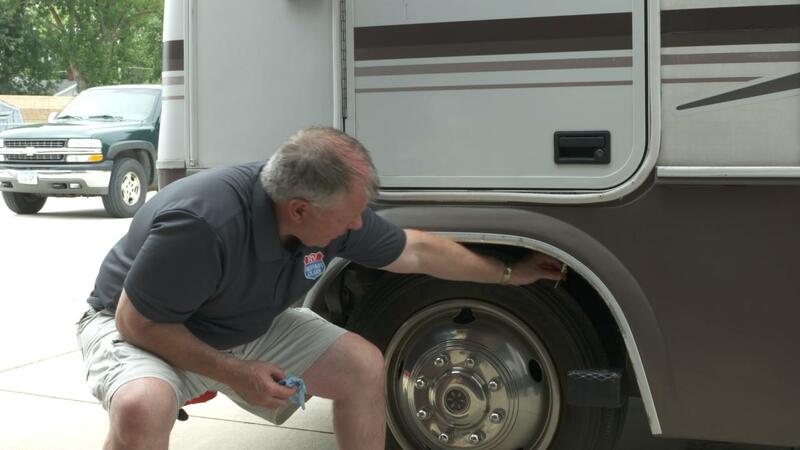 Having 10 psi less than recommended pressure in an RV tire reduces carrying capacity by 25%. Proper tire pressure and only be determined by weight the rig, finding the amount of weight on the individual tire and referring to the tire manufacturer’s inflation chart. Proper tire maintenance includes covering the tire during storage to reduce weather checking, checking tread wear for alignment issues, and checking pressure every day before you hit the road. It’s important to check the nooks and crannies inside an engine compartment of a motorized rig to make sure no debris such as leaves, garbage bags or other items are not lodged inside. A small rock chip in a windshield can quickly turn into a very expensive windshield replacement, and front clearance lights are notorious for allowing moisture into the front cap during a driving rain and that moisture travels to various parts of the rig making it difficult to pinpoint a leak inside the unit.